A new feature of Wi-Fi could help people find both each other and things nearby, without even being near a hotspot. The group that puts the Wi-Fi badge on phones, laptops and countless other gadgets is now starting to certify products for Wi-Fi Aware, a way for apps to make their presence known to devices nearby. 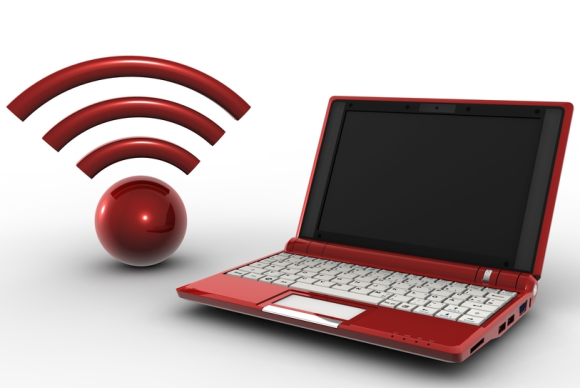 Because it’s peer to peer, the system works anywhere there’s more than one Wi-Fi Aware device. For example, if two people have the same game on their phones, the game could use Wi-Fi Aware to figure out that they’re in the same room and let them play against each other. Or a device near a painting in the basement of a museum could automatically send information about the art to visitors walking by. Because it works two ways, Wi-Fi Aware can even carry simple conversations between devices. For example, it’s already possible for an airline app to make a boarding pass pop up on the phone when the user nears a security checkpoint. With Wi-Fi Aware, that app could ask the checkpoint how long the wait is and whether there’s a faster line, such as a frequent-flier line, that’s currently available. The new system provides a way to do all this between devices instead of over a network, using brief messages that are more efficient than full-blown Wi-Fi in terms of power and data. Once the devices have found each other and exchanged information about a service, they can start carrying on a full Wi-Fi session if there’s a network nearby. That session can include high-definition video, gaming or other content. Automatic service discovery can make it easier to take advantage of things and services nearby, said Farpoint Group analyst Craig Mathias. It’s been available for years with Apple’s Bonjour protocol, which has also been made available for Windows machines. It’s likely even more people will use Wi-Fi Aware because it comes from the group behind the nearly ubiquitous wireless LAN system, Mathias said. “This could have enormous applications in singles bars on Friday night,” he said. Retail stores and content providers will determine how successful Wi-Fi Aware is, 451 Research analyst Rich Karpinski said. If they adopt the technology to reach consumers, it will probably catch on, he said. Most apps that use location today get it from some combination of GPS, cell site and Wi-Fi hotspot information. Usually they need to process and exchange that information in the cloud, which introduces delays, said Kevin Robinson, director of program marketing at the Wi-Fi Alliance. Wi-Fi Aware can work faster because it’s based on local communication, he said. That could mean knowing that a friend is nearby when they actually are instead of finding out half an hour later. Here’s how the system works: A device’s Wi-Fi radio sends tiny messages over its normal frequencies, looking for other Wi-Fi Aware devices and services within normal Wi-Fi range. When multiple devices with the technology find each other, they form clusters that share a “heartbeat” that determines when the radio goes to sleep and when it wakes up to communicate with the others. The heartbeat saves the devices from having to constantly send out messages, which could drain their batteries. Consumers will use Wi-Fi Aware through applications and will only advertise their presence or look for services if they opt in, Robinson said. Apps can encrypt the data they send over Wi-Fi Aware, he said. There might be a way for someone to spoof a Wi-Fi Aware device so apps will communicate with it, but the system wouldn’t make users much more unsafe than they already are, Farpoint’s Mathias said. All most people will need to start experiencing Wi-Fi Aware is a firmware upgrade and an app that uses it, Robinson said. It’ll be up to device makers to make those firmware upgrades available and build future products with Wi-Fi Aware parts. The Alliance has so far certified hardware components from Broadcom, Intel, Marvell and Realtek to work with the technology.